A efresh of Apple’s flagship laptop, the MacBook Pro, likely will be the highlight of an event scheduled for this Thursday at the company’s headquarters in Cupertino, California. The update to its flagship MacBook line couldn’t come at a more critical time. “Apple has been under increasing pressure from Dell, Lenovo and others in this space and needs to up its game considerably lest it be accused of neglecting notebook users and customers,” said Charles King, principal analyst at Pund-IT. Apple will make a play for corporations at the event by focusing on specific business class qualities in the new products. “That would emphasize the value the company has gained from its partnership with IBM,” King told TechNewsWorld. One of the new features likely to grace the MacBook Pro is an OLED touch bar above the keyboard, which reportedly will be similar to the butterfly keyboard found on the 12-inch MacBook. The bar would perform a variety of functions — for example, display notifications, identify open apps, and control parts of the operating system. As cool as the bar sounds, its overall impact on the laptop will be minimal, maintained Jeff Orr, senior practice director for mobile devices at ABI Research. “Maybe there’s some productivity efficiencies that can be gained by it, but it’s not going to fundamentally change the product offering,” he told TechNewsWorld. The new MacBook Pro also is expected to have four USB-C ports. “Apple has been losing market share because it hasn’t kept its MacBooks up to date, particularly on the port side,” said Bob O’Donnell, chief analyst at Technalysis Research. With the addition of the USB-C ports, some ports may be dropped. Could one of the ports targeted for elimination be the headphone jack, already scrapped from the iPhone 7? “I don’t think they will, because most people plug in external speakers through the headphone jack,” said O’Donnell. However, “they could make a philosophical statement by taking it out,” he added. Apple’s rationale for removing the headphone jack from the iPhone 7 was to provide a great experience that’s wire and cable free, and to save space within the unit, Orr noted. “Those aren’t motivators for doing that with the MacBook,” he said. The addition of more USB-C ports on the MacBook also could mean Apple is ready to embrace Thunderbolt 3. Thunderbolt is a hardware interface developed by Apple and Intel. The first two generations of the technology connected devices to a computer through a Mini DisplayPort, but Thunderbolt 3 uses a standard USB-C port. “I’m expecting updated MacBooks with modular features enabled through ThunderBolt 3 over USB-C,” said Patrick Moorhead, principal analyst at Moor Insights and Strategy. “This can enable even thinner designs — but with the ability to connect to much higher performance graphics and storage if desired,” he told TechNewsWorld. Some other features Apple watchers expect to see in the new MacBook Pro are a fingerprint scanner, which would facilitate the use of Apple Pay from the laptop; the addition of AMD graphics; and up to 2-terabyte solid state drives. There are rumors that Apple will offer the laptops in a variety of new colors, such as space gray, silver, gold and rose gold. A new 13-inch MacBook Air with USB-C ports also might be introduced. 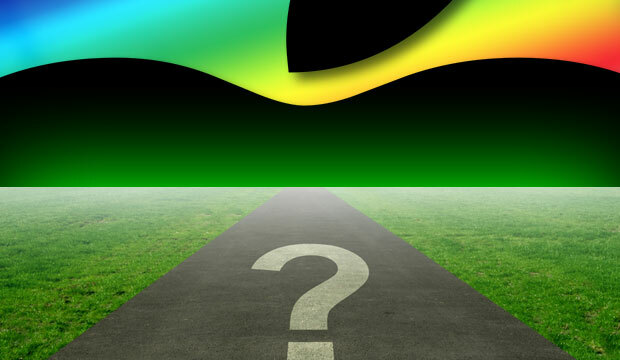 It’s been rumored that Apple could announce some new iMacs and a 5K display as well. While not total discounting those possibilities, highly regarded Apple analyst Ming-Chi Kuo of KGI Securities indicated they are highly unlikely. However, even if those products were announced at Thursday’s event, they wouldn’t be ready for shipping until next year, he noted.